Communicating a new product to your target market can be challenging. 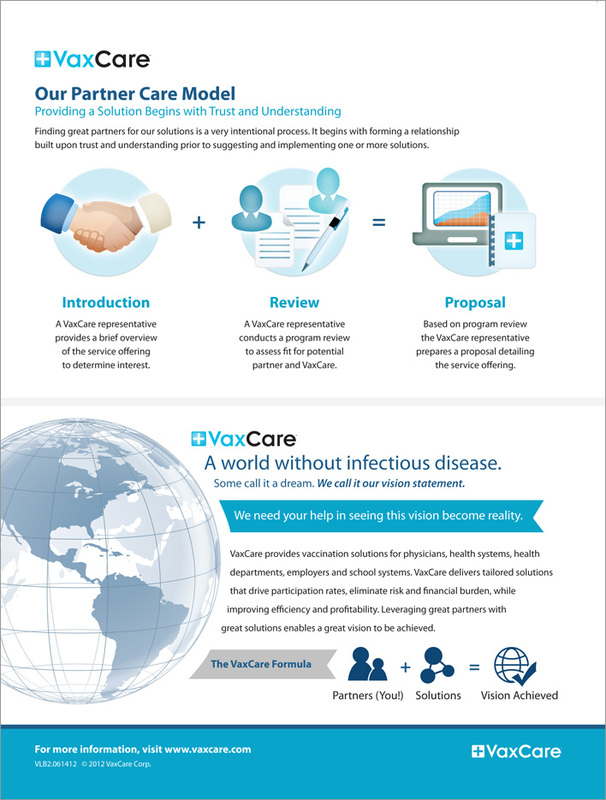 VaxCare, an innovator in complete, web-based vaccination programs, gave us a shot and we came up with an identifiable look and message to help them introduce their product and services efficiently. 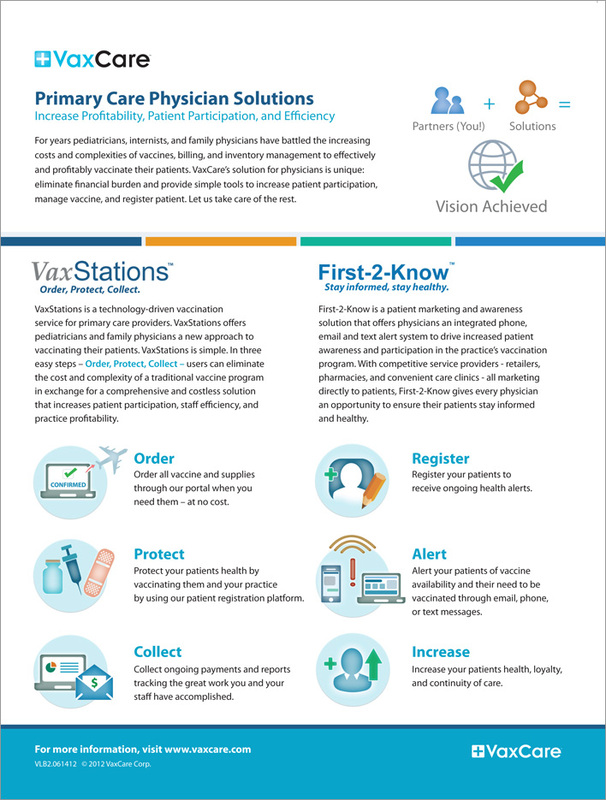 We designed custom graphics and organized product sales sheets and other materials that targeted audiences can identify, understand and associate within their current environment.